Find huge deals in Guam that you may book now & pay later! 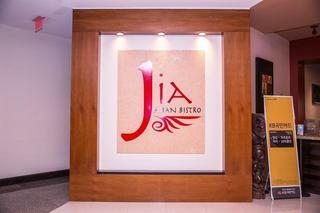 Best prices for in Guam. A dream vacation for you and your family, guaranteed by our travel consultants. For members-only deals, we recommend using the new filter for deals in Guam. 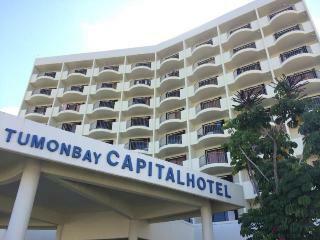 This 3 star hotel is located in the city centre of Guam. As you enter the Holiday Resort & Spa Guam, the classic European design permeates throughout the flowing marble staircases, the elegant grand lobby and arched cathedral windows. The swimming pool located on the 5th floor is for the exclusive use of our guests.The Holiday Resort & Spa Guam has banquet rooms to accommodate your function with setup tailor made to your needs. This comfortable hotel is in Tamuning. Grand Plaza features a total of 124 accommodation units. Pets are not allowed at Grand Plaza. 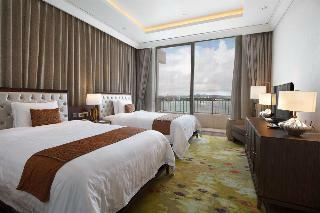 This luxurious hotel is set in Tamuning. Those who dislike animals may enjoy their stay, as this accommodation does not allow pets. 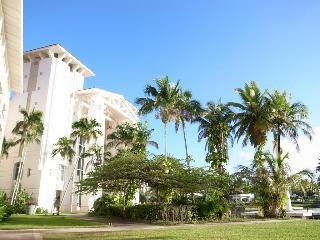 Guam Reef Hotel is an International, tropical resort hotel with the best services and facilities. 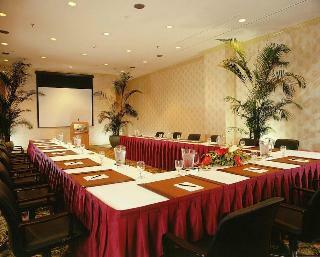 The hotel is about 5-7 minutes drive from the Guam International Airport and conveniently located on the beach. 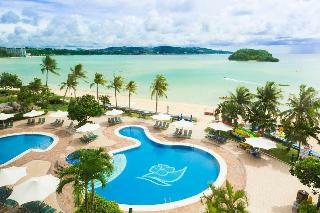 In the heart of Guam, accessible to all activities which is called ?The Pleasure Island.? Guam Reef has 453 rooms overlooking Tumon Bay. The Royal Orchid Hotel is centrally located in the heart of beautiful Tumon, just minutes away from island shopping centers and popular tourist attractions.The hotel has an outdoor swimming pool, fitness centre, spa and self-catered laundry facility for your convenience. Guests can appreciate a display of artifacts and other exhibit items courtesy of the Guam Museum in the public area of hotel. 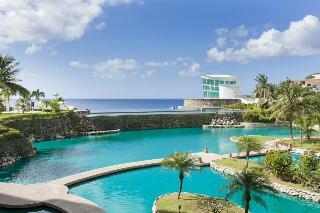 This 4 star hotel is located on the coastline of Guam. 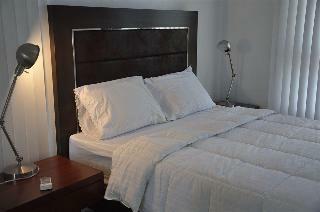 This comfortable hotel is in Tamuning. Guests will enjoy a peaceful and calm stay on the premises, as it counts with a total of 3accommodation units. Customers will not be bothered during their stay, as this is not a pet-friendly establishment. This charming hotel is in Tamuning. The hotel comprises 191 cosy guests rooms. Oceanview Hotel & Residences is not a pet-friendly establishment. This charming hotel is set in Tamuning. 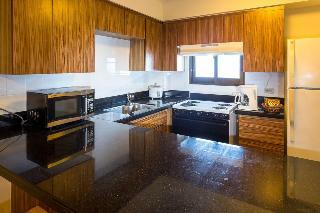 A total of 148 units are available for guests' convenience. Pets are not allowed at this property. 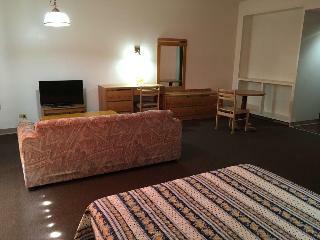 This comfortable hotel is situated in Tamuning. There are a total of 46 units on the premises. Visitors can take advantage of the internet access at Days Inn Guam Tamuning. Common areas are suitable for wheelchair-disabled people. Pets are not allowed at this establishment. There is a car park. 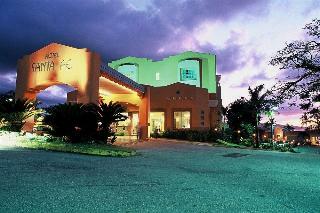 This charming hotel is situated in Tamuning. 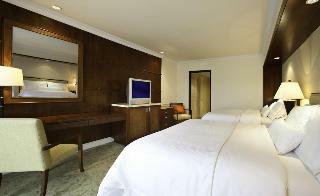 The hotel comprises 60 cosy rooms. Pets are not allowed at this establishment. 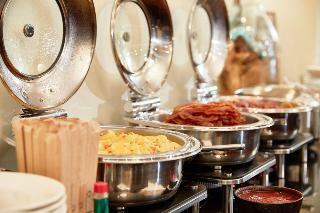 This comfortable hotel is located in Tamuning. The property consists of 66 bedrooms. Pets are not permitted on the premises. This lovely hotel is in Tamuning. The property consists of 112 units. Pets are not permitted on the premises. This 5 star hotel is located in the city centre of Guam and was established in 2015. 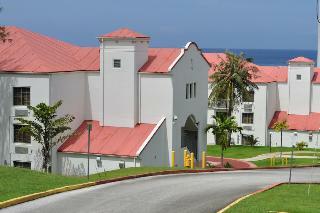 This lovely hotel is situated in Tamuning. A total of 132 bedrooms are available for guests' convenience. Pets are not allowed at Pacific Bay. This 3 star hotel is located in the city centre of Kusatsu..